Meeting with Bibliovores book club in Livermore, CA, as they discuss The Sky Above Us. Speaking at GFWC Women’s Club of Antioch in Antioch, CA on “Rosie the Riveter and Friends: Lessons from the 1940s Woman.” Details to follow. Meeting with a book club in Concord, CA, as they discuss The Sea Before Us. Keynote speaker and teaching at Oregon Christian Writers Winter One-Day Conference in Salem, OR. Details to follow. Book signing at Barnes & Noble, Antioch, CA. Spoke at Summerset IV book club, Brentwood, CA, for their discussion of The Sea Before Us. Served on faculty at American Christian Fiction Writers Conference in Nashville, TN, moderating the historical fiction panel. Coached fiction writers at LIT Masterclass, hosted by West Coast Christian Writers Conference, in Pleasanton, CA. Book release party for The Sea Before Us! My literary agent gave swing dance lessons, plus we had fun giveaways, a reading, book signing, and snacks! At Barnes & Noble, Antioch, CA. Skype chat with American Christian Fiction Writers Arkansas Chapter. Skype chat with Faith in Fiction Christian Fiction Book Club, Tottenham, ON. Taught at American Christian Fiction Writers At-Home Conference on “Research Without Headaches” (tips on how to document and organize your research material). Served on the faculty at Mount Hermon Christian Writers Conference in Mount Hermon, CA. Spoke at Alameda Free Library Writers’ Group on Writing Is Rewriting: Polish Your Rough Draft to a Shine. Alameda Main Library, 1550 Oak Street, Alameda, CA. Press Release. Spoke at the meeting of the PEO group in Brentwood, CA. Spoke at North Bay Red Hat Society on “Lessons from the 1940s Woman: What Women of Today Can Learn from Rosie the Riveter and Her Friends.” Petaluma, CA. Skype chat with the Marshfield Book Club in Marshfield, WI. Met with the Trilogy Book Club in Brentwood, CA. 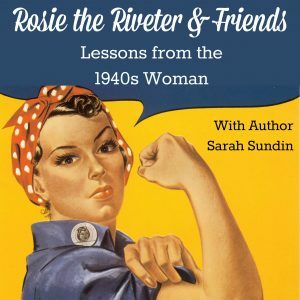 Spoke at the Pittsburg Chamber of Commerce’s Empowering Women in Business group on “Lessons from the 1940s Woman: What Women of Today Can Learn from Rosie the Riveter and Her Friends.” Pittsburg, CA. Spoke at Holiday Luncheon & Boutique at Northpark Community Church in Fresno, CA on Simplifying Christmas. Taught a Pre-NaNoWriMo Writing Workshop at Alameda Free Library Writers’ Group. Sat. October 17, 2015 at the Alameda Main Library, Alameda, CA. Taught a workshop at American Christian Fiction Writers Conference in Dallas, TX, on Historical Research Without the Headaches. Book signing at Living Room Bookstore in Bastrop, Texas. Launch Party for Through Waters Deep at Barnes & Noble, Antioch CA. Swing dance lessons taught by my agent, Rachel Kent! Refreshments, giveaways, readings, and a book signing. 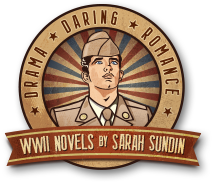 1940s attire optional – but welcome! Heritage High School’s Music is Medicine organization held a book fair, with proceeds donated to Homes for our Troops, which builds adapted homes for wounded veterans. Spoke at Alameda Free Library Writers’ Group on Writing Is Rewriting: Polish Your Rough Draft to a Shine. Sat. April 18, 2015 at the Alameda Main Library, Alameda, CA. Spoke at California Writers Club, at the Oakland Main Library on “How You Can Build Your Novel Using the Snowflake Method.” Does plotting your novel ever feel like a smack-down wrestling match? And how can a simple snowflake help you win that match? Author Sarah Sundin will explain how she uses Randy Ingermanson’s famous Snowflake Method with her own adaptations. Building your story from a one-sentence summary up to an intricate outline helps you work out the details of your characters and plot and pull them into a cohesive unit. Even if outlines give you hives, you’ll find techniques you can apply to the writing or editing process. Skype chat with eighth-grade classes at Discovery School, Lancaster CA on “Writing Is Rewriting.” See news release. Spoke at Latte and Lit Book Club, Peoples Church, Fresno CA on “Lessons from the 1940s Woman: What Women of Today Can Learn from Rosie the Riveter and Her Friends.” People’s Church, Fresno, CA. Taught at Mount Hermon Christian Writers Conference, Mount Hermon CA on “Historical Research: Enrich and Deepen Your Story”; also contributed to the “Refresh, Reboot & Refocus Your Writing Adventure” morning track.